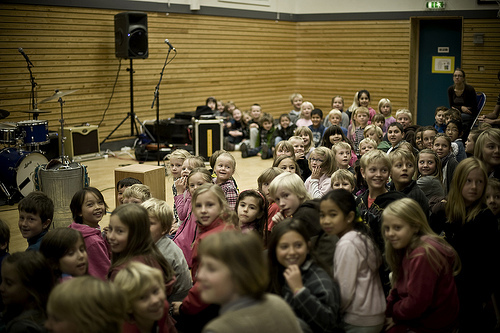 I'm interested in challenging expectations of what music education can and should be. 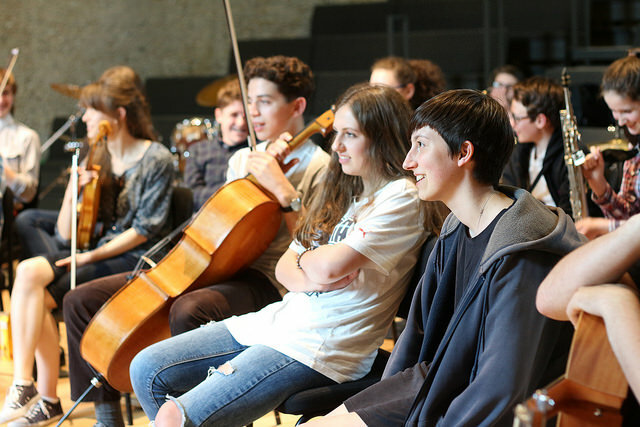 We are constantly being told that our young people need to be 'creative' and 'innovative' but music education, a field that should be an example to other disciplines, is often lacking in these two vital areas. My ideas towards education projects, whether that is a workshop or a long-term project, focus on a practical, inclusive, experimental and collaborative approach. 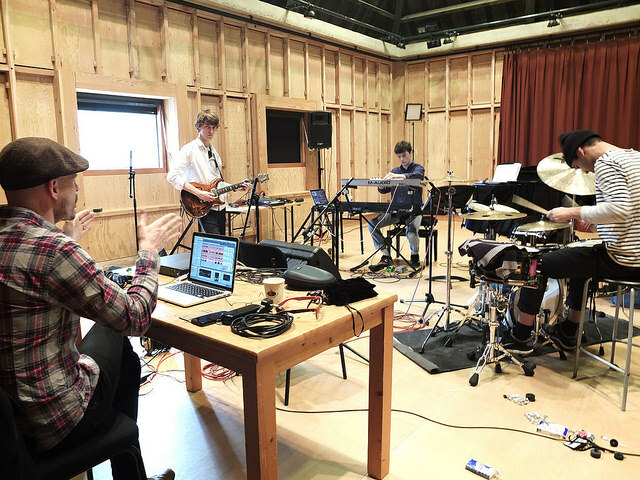 Putting an emphasis on 'making something' versus subjective ideas about what may be correct or incorrect practice leads to musicians and participants to rediscover a sense of fun in music while at the same time engaging in progressive concepts of music-making. Having spent the last 10 years developing these skills, my current focus is on expanding participation in my projects to include people with no previous experience in performing. I want to show that inclusivity and high musical quality are not mutually exclusive and that creativity requires no superpowers. The only pre-requisites are an open mind and the courage to join in. The Great Exhibition will show and share the difference the North is making to the world today and tomorrow and will acknowledge the achievements of the past. We are drawing the programme from artists, inventors and communities from across the North and bringing it to Newcastle Gateshead. Chris Sharkey’s project is especially strong because it shares the ingenuity and creativity of his work and the breadth and talent of the musicians in the North, drawing together the inventiveness of improvised music with his skill to create and perform an exciting, bespoke composition designed to inspire and quite literally engage audience/participants. These inspiring pop up performances will add to the soundtrack of the opening weekend of the Exhibition, showcase the talent in the North and also encourage more engagement with the music of the North for both audiences and participants. "Chris knows how to make things happen. His direction is incredibly dynamic, and the result was a powerful performance with full expressive and creative engagement by the players. The audience loved it". "Chris Sharkey of TrioVD fame, alongside the East London Creative Jazz Orchestra (ELCJO), created a sensational, jaw-dropping free stage performance at the Barbican for the 2012 edition of London Jazz Festival. The result of an intense, creative residency with ELCJO, Chris Sharkey and fellow TrioVD members Chris Bussey and Chris De Bezenac worked with the ELCJO and band leader Paul Griffiths to create new compositions, free improvised pieces and a re-working of existing TrioVD material especially for the Festival. 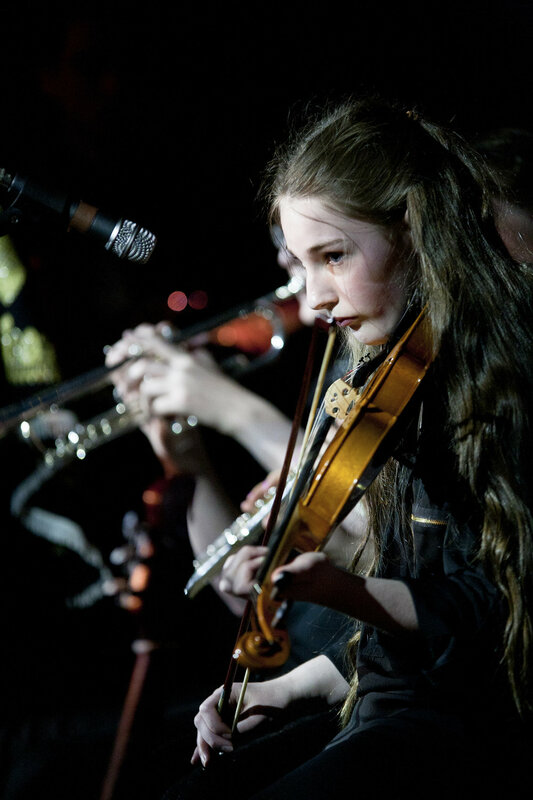 The project was a free stage highlight – a true testament to the commitment and passion Chris Sharkey and TrioVD share in inspiring a next generation of young musicians. Outstanding!"